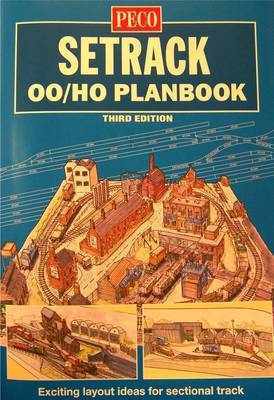 Recommended price £2.95 'OO' gauge setrack plan book containing over thirty five plans plus hints and tips on wiring and scenery and finally operation of the layouts. Although designed for 'OO' gauge these plans can be addapted for 'Z','N' or even 'O' if you have the space. The plans featured cover areas between 15ft (4.55m) x 12ft (3.6m) down to 4ft (1.2m) x 1ft (30cm).